"Collectively, these two teams’ matches are averaging 3.48 goals per-game this season with their combined home/away outings featuring 13/20 (65%) of Over 2.5 Goals encounters and 16/20 (80%) Both Teams To Score winners." West Brom moved into third on goal difference on Monday night but were made to rue their profligate finishing as Brentford departed The Hawthorns with an undeserved 1-1 draw. The Baggies conceded a stoppage-time equaliser, a result that leaves Darren Moore's men five points adrift of league leaders Norwich. Albion dominated proceedings from the get-go, missing numerous gilt-edge opportunities and firing in 16 first-half shots. Jay Rodriguez and Hal Robson-Kanu were most at fault with wayward efforts, before Harvey Barnes gave the hosts a second-half lead, firing his eighth goal of the season into the top corner. Moore admitted post-match, "We could have been bit more ruthless but I can't complain. As long as we create, be inventive and get performances we'll win more than we'll lose." Dwight Gayle is now pushing for a recall, whilst Bakary Sako is available again. Kyle Bartley and Robson-Kanu are both doubtful. Aston Villa continued their ascent towards the Championship top-six with a dominant 3-0 victory at Middlesbrough last Saturday. In-form Tammy Abraham was joined on the scoresheet by James Chester and Glenn Whelan to earn Dean Smith's side a fourth victory in five matches ahead of the derby. The Claret & Blue were excellent value for the Riverside victory, creating the better of the chances, as Boro struggled going forward. While Villa's potency in attack made the difference, their leaky defence which shipped five goals against Nottingham Forest, was watertight against a tame home offence. Yannick Bolasie excelled on Teesside and he'll be joined in the team by Abraham, who's fit enough to feature having been substituted at Middlesbrough. That means Jonathan Kodjia will again have to make-do with a place on the bench as Dean Smith has no new injury or suspension concerns for Friday. West Brom and Aston Villa lock horns in league football for the first time since January 2016, a match that ended goalless at The Hawthorns. The hosts are unbeaten in each of their last six here against the Claret & Blue (W2-D4-L0), a run of results that dates back to September 2008. Albion have been marked up at [2.36] - odds the suggest the two teams are rated very closely. West Brom now rank second in the Championship for Expected Goals ratio and xG from open play ratio with their fearsome forwardline generating the most opportunities in the division this season. 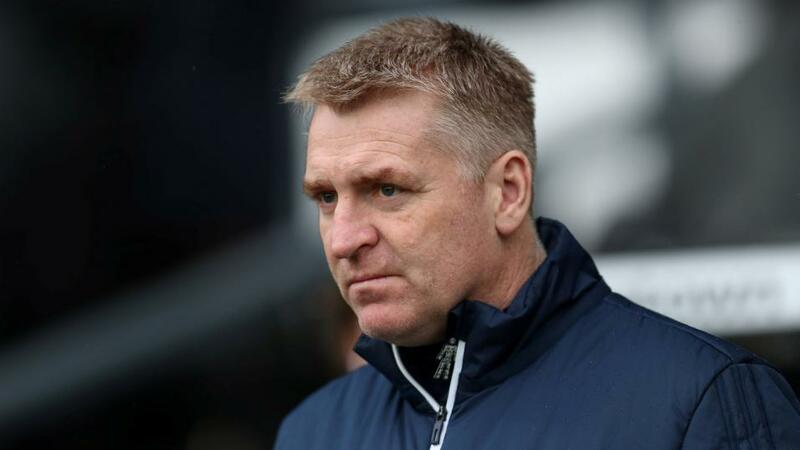 Aston Villa [3.05] have earned more points under Dean Smith (16 in eight games) than they did in 11 matches under Steve Bruce's stewardship (15), and the Second City club are averaging a 64% xG ratio return across those eight encounters (W5-D1-L2), a significant improvement. The two clubs are very well matched and with the draw trading as the large outsider at [3.75], the stalemate has to appeal in the frenetic derby day atmosphere. Unsurprisingly, Over 2.5 Goals is trading at just [1.59] ahead of Friday's fixture. Collectively, these two teams' matches are averaging 3.48 goals per-game this season with their combined home/away outings featuring 13/20 (65%) of Over 2.5 Goals encounters and 16/20 (80%) Both Teams To Score winners. The easiest solution is therefore to head to Betfair Sportsbook's Same Game Multi market and back Over 2.5 Goals and Both Teams To Score for a healthy 1.81 offering for what should be an enjoyable Friday night Championship feast.